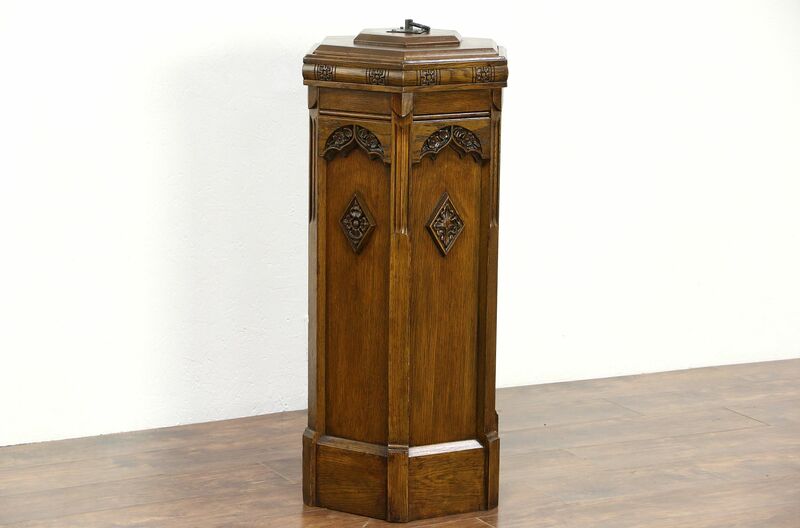 A holy water or baptismal font from about 70 years ago was carved of solid oak in the Gothic manner. The restored finish is in excellent condition on this vintage church furniture. A wrought iron ring pull lifts the lid, a stainless bowl rests inside the hexagonal paneled base. Measurements are 19" across and 40" tall.